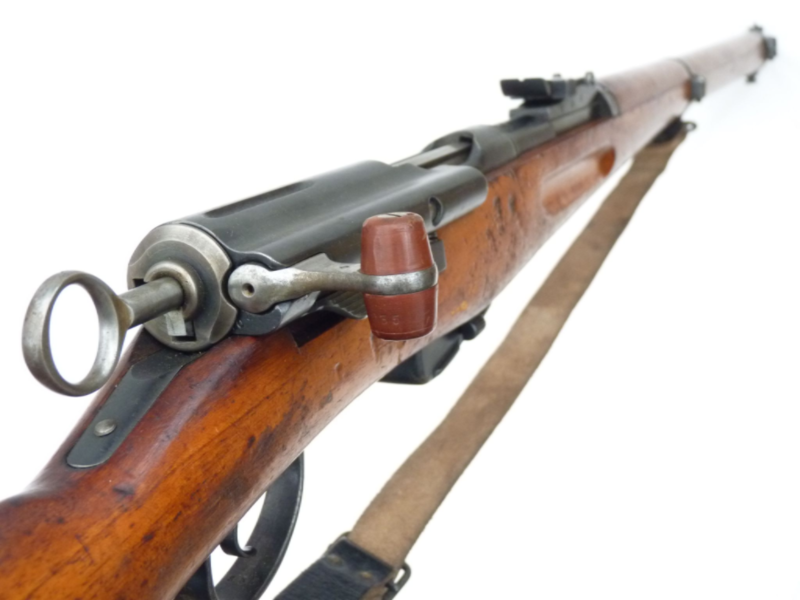 This is the Swiss Model 1911 rifle, which was the culmination of improvements made to the Schmidt-Rubin M1889 up to 1911, becoming the M1911 and the M1986/11. 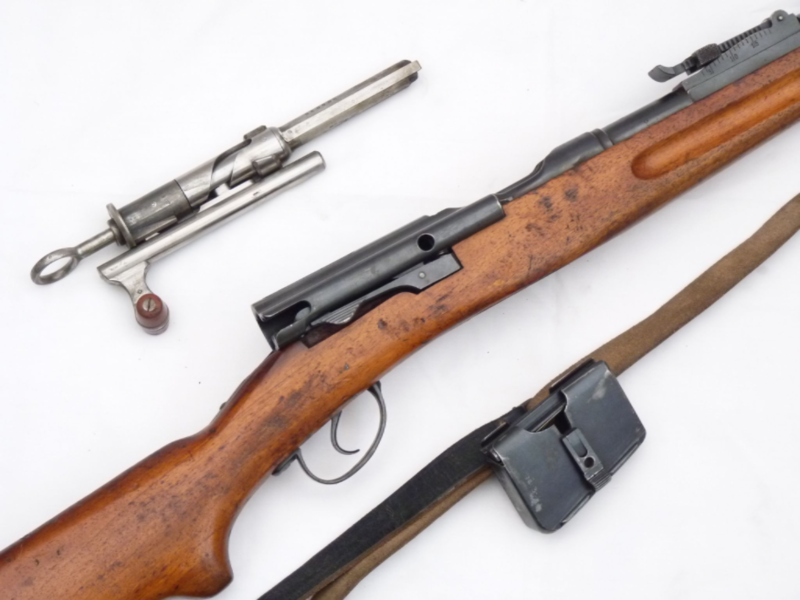 The only differences between a M86/11 and a M1911, is that the pistol grip is spliced into the stock on a M96/11, which this has not, and the buttplate is slightly different. 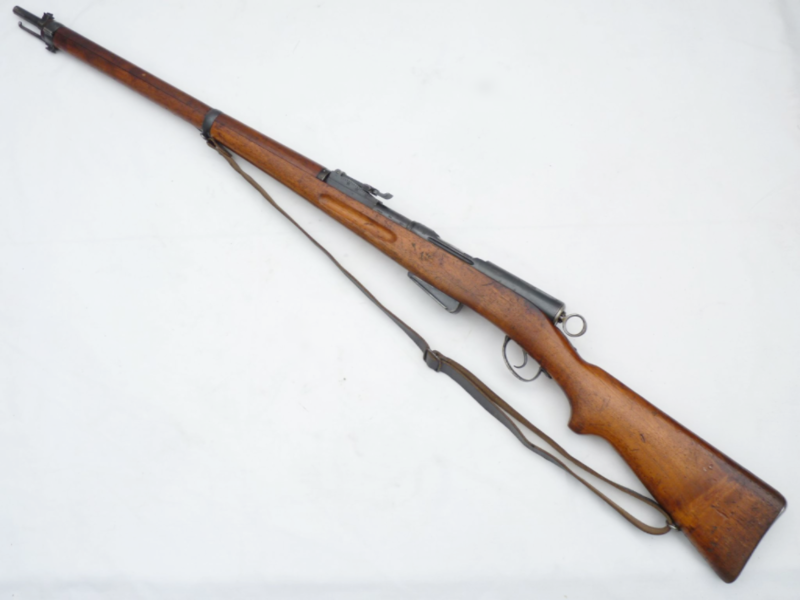 Of magazine fed, straight-pull bolt design, in 7.5mm calibre, this family of rifles was designed by Rudolph Schmidt and Eduard Rubin. 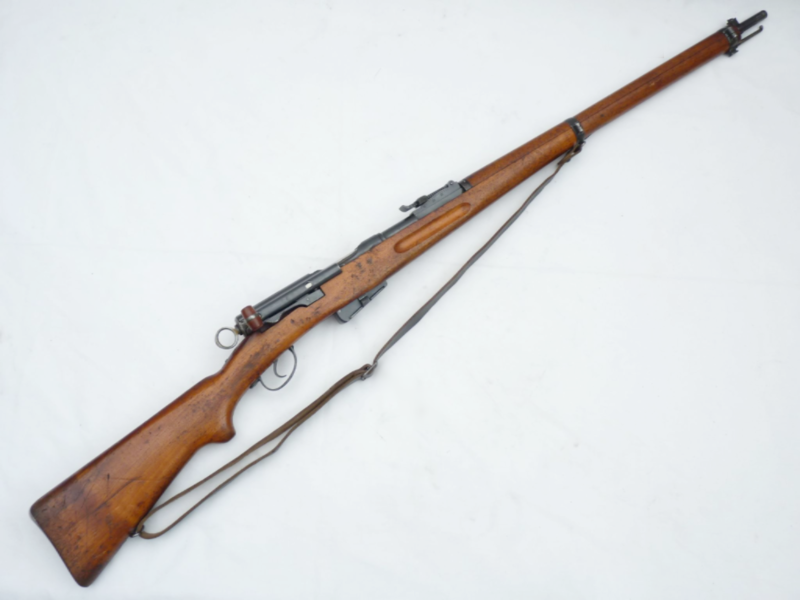 This particular example is in excellent authentic condition with super matching furniture, very good metalwork with full matching serial numbers to breech, bolt, barrel, and magazine, and the serial number dates it to 1915. 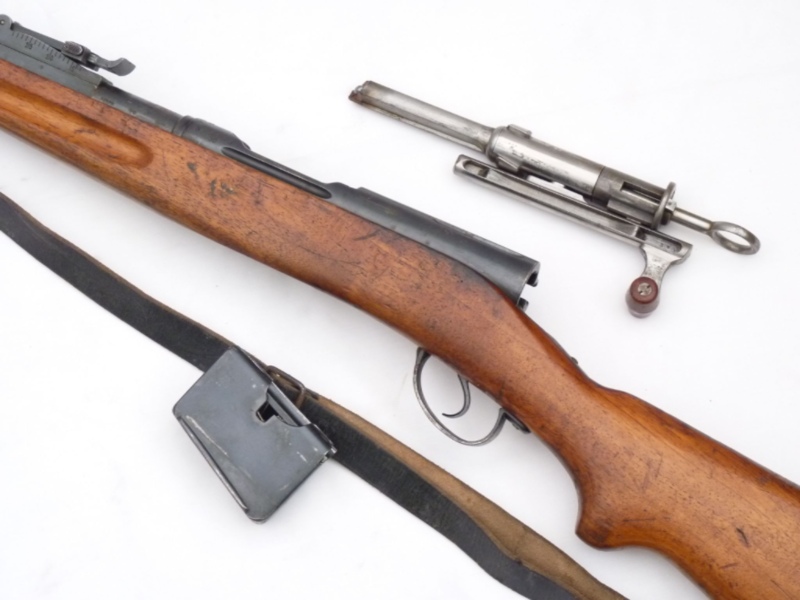 Able to be cocked and dry-fired, and fully field strippable, this rifle comes with detachable 6-round magazine and leather sling. Deactivated in the UK with Certificate to full UK/EU specification.